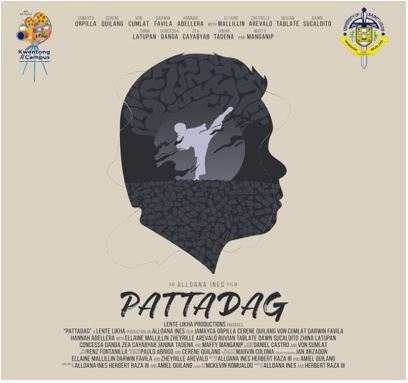 The film titled Pattadag: A Short Documentary by Lente Likha Productions, the University of Saint Louis Senior High School (USL-SHS) media team, recently landed as one of the top five finalists for the Senior High School category in Kwentong Campus: A Short Documentary Film Competition organized by CB Mall, located in Urdaneta City, Pangasinan. The film shares the narrative of Joanna Alegria, a Grade-12 STEM Health student, as she faced the most unexpected opponent of her life – a computerized tomography (CT) scan result. Pattadag, an Ybanag term meaning “to stand,” is the emblem of the weight of a student’s struggles and what one does about it: to leave or carry it. The documentary film was directed by Alloana Ines, with screenplay by Herbert Raza III and Amiel Quilang. Jamayca Orpilla played the role of Joanna Alegria. The other cast include Darwin Favila as Andrei Tumaliuan, Joanna’s brother; and Cerene Quilang as Mary Ann Alegria, Joanna’s mother. Film editing was done by Marvin Coloma and Renz Fontanilla; cinematography by Zheyrille Arevalo , Jan Arzadon and Ellaine Mallillin; and production design was headed by Paulo Abrigo. The film’s soundtrack, “Akala,” is an original composition of Daniel Castro and Von Cumlat. Mr. McKevin P. Romualdo, MOS, a USL-SHS computer teacher, served as team adviser and film consultant. Kwentong Campus (Campus Story): A Short Documentary Film is a student filmmaking competition for Junior /Senior High School, College and University students from Regions 1, 2, 3, and the Cordillera Administrative Region (CAR). The competition looked for short documentaries featuring a “true, unique and inspiring story” of a student(s) from the campus represented. The competition aimed to give a platform to all young aspiring filmmakers in showcasing their interest in making life-changing films. 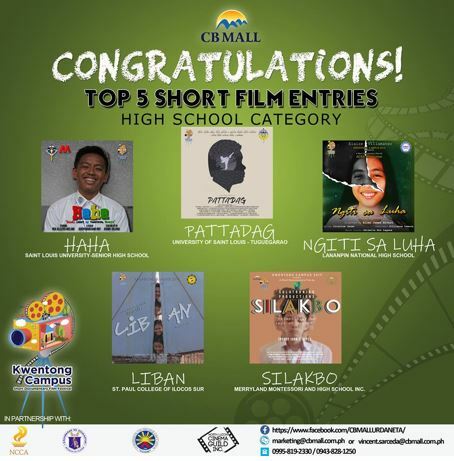 The top 10 short documentary film finalists will be premiered and awarded at the CB Mall Events Center on March 23, 2019, the organizer’s 1st Kwentong Campus: A Short Documentary Film Festival Awarding Day. The mall’s filmmaking project was in partnership with the Commission on Higher Education; Department of Education; Film Development Council of the Philippines; National Commission for Culture and the Arts; and North Luzon Cinema Guild, Inc.